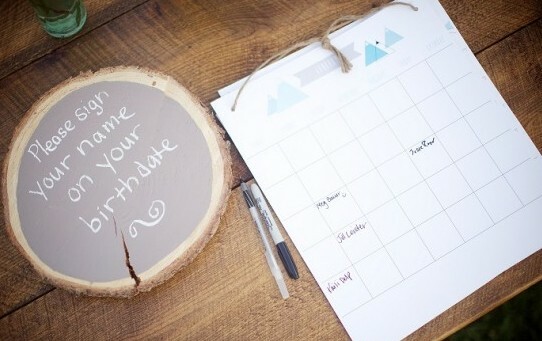 Have your guests sign their names on their birth date on a calendar! See more photos from this wedding on the source. See a tutorial for this idea using a book-type calendar. See a tutorial for creating your own calendar for this idea.